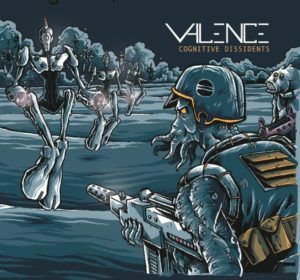 Progressive metal fusion quartet VALENCE‘s new album, Cognitive Dissidents, drops tomorrow, April 12, but… surprise! The band have unleashed their entire new album a day early via PopMatters! Stream the entire opus here. Expertly fusing genres like metal, rock, jam, classical, jazz, and more, VALENCE‘s varied yet cohesive influences offer every listener a passport to a new state of mind that is cerebral and emotive, while not sacrificing accessibility. Visit this Facebook invite for a listing of these shows.